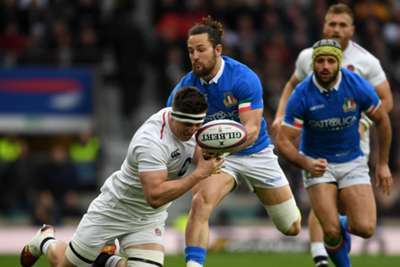 Wasps centre Michele Campagnaro will join Premiership rivals Harlequins after playing for Italy in the Rugby World Cup. The signing of Campagnaro, a Premiership winner with Exeter Chiefs in the 2016-17 season, comes after Quins confirmed that Argentina duo Santiago Garcia Botta and Martin Landajo will move to The Stoop following the World Cup. Harlequins head coach Paul Gustard said: "I have watched Michele in recent years starring for club and country and I know he will be a great addition to our squad at Harlequins. "We have an array of exciting talent at centre at the club and Michele will provide excellent competition for places as we look to progress and build on this season's momentum. "Michele is a seasoned international, a Premiership winner, who will add top-level experience to our playing group. He is a fantastic talent, powerful through contact and will give us even more of an attacking threat next season."